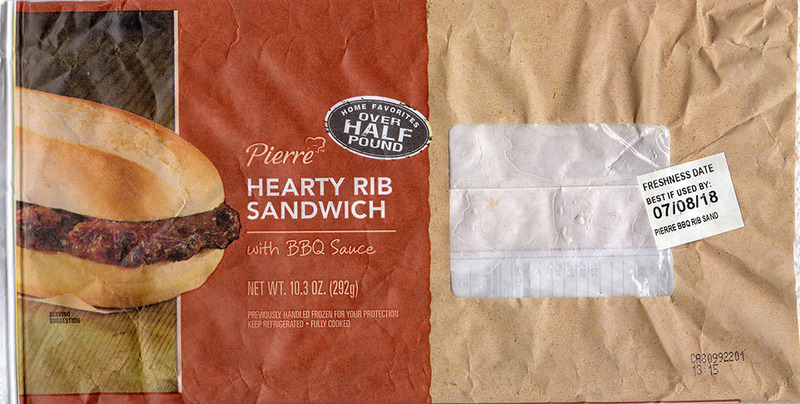 Is the Pierre Hearty Rib Sandwich any good? In a junky, fast food, you’re gonna feel guilty right away way – yes! 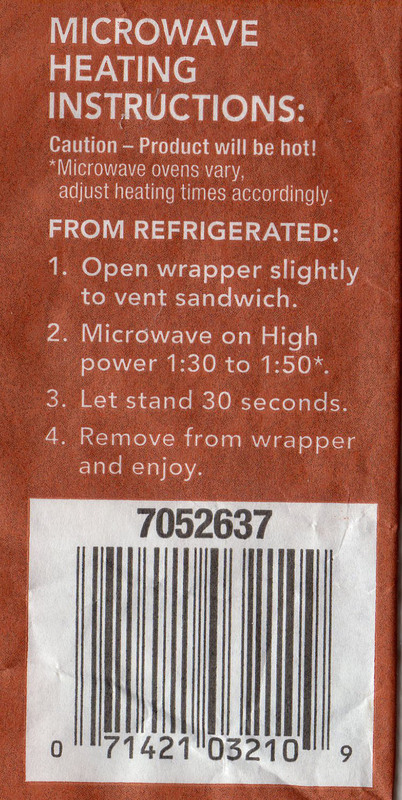 In any reasonable gourmet or nutritional sense, no, this is a completely junk-tactic sandwich that cooks right up in the microwave after coming off of a crazily long shelf life. A pre-made processed meat sandwich with a shelf life of weeks – at least the one I grabbed at Walmart anyway – what could possibly go wrong? This is the type of product I’ll be curious about for years before finally just giving up, and succumbing to my inner junk food slob. As I say, there’s a lot that could go wrong here. The sandwich I purchased was previously frozen and had a refrigerated shelf life of at least another 17 days from that point; the packaging confirms the ingredient list here is anything but healthy. This thing is loaded with salt and sugar and fat. Inside the bun, the reformed pork is shaped to look like a rack of deformed ribs, and smothered liberally in a sweet BBQ sauce. The whole thing cooks up in a microwaveable plastic/paper sack. 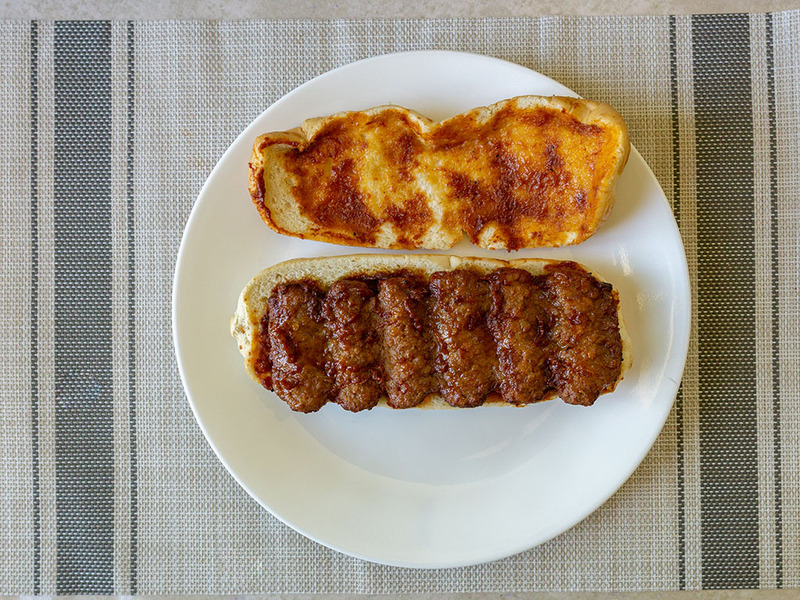 This is the kind of sandwich you reach for in a drunken haze or moment of madness – again – what could possibly go wrong here? All that said, truth be told, I secretly enjoyed this sandwich. Let’s be clear there’s little in the way of redemeable qualities here. Saturated fat and salt are through the roof. The reformed, pre cooked “rack of rib” is the stuff of fast food restaurants, it couldn’t be more removed from the animal it came from. 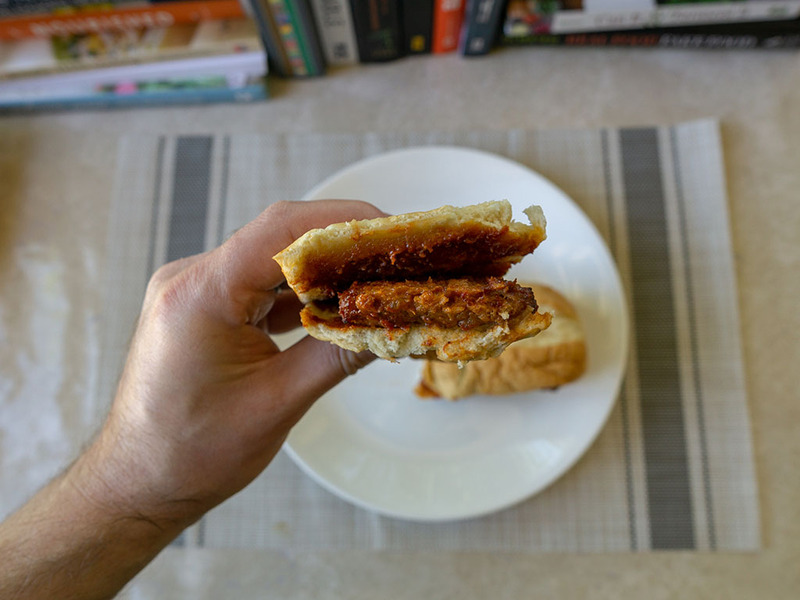 The bun ends up as a understandably soggy mess out of the microwave and the BBQ sauce is tooth achingly sweet. But…and it’s a big but…I wolfed down this half pound near 800 calorie monster in just a few minutes. I also took a second glance around me afterwards to make sure no one was watching. 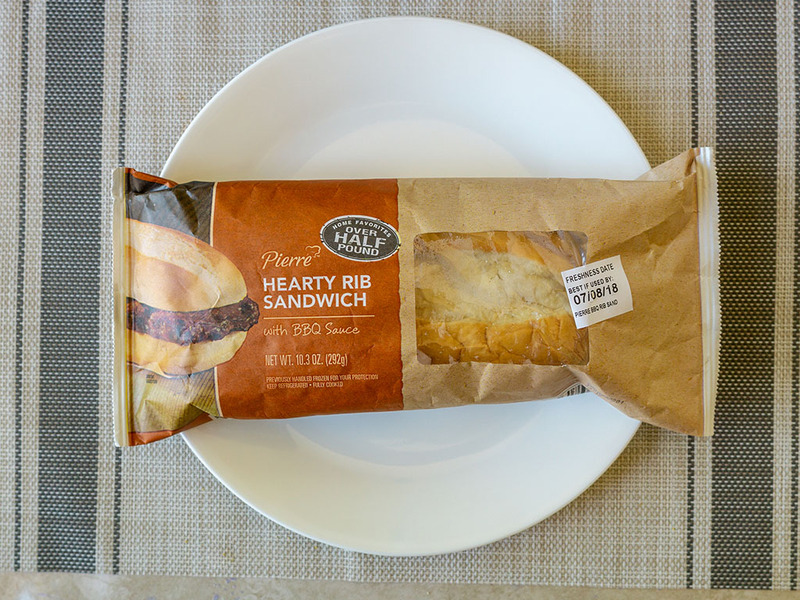 This isn’t a sandwich that you’ll be particularly proud of eating in front of civilized company or your cardiologist for that matter.